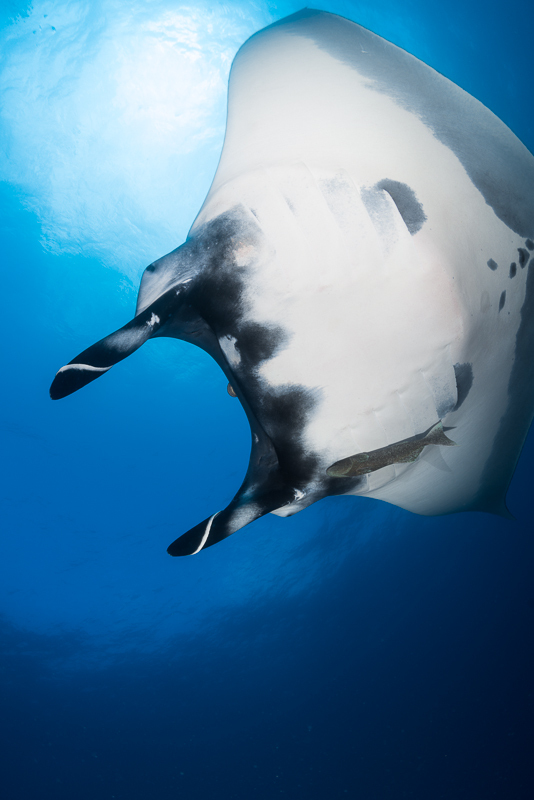 Photo Expedition to the Socorros May, 2014! For those of you who enjoyed my photos and article on the Socorros Islands, please join us on a Photo Expedition there May 23- June 1st 2014. Optical Ocean Sales has organized a trip to go at a perfect time of year to find baitballs; schooling small fish that the predators encircle and feed on. These swirling “balls” of fish are attacked above and below water by sailfish, sharks, and dolphins - and are a mass of action for underwater photography. The Revillagigedos Islands, also known as the Socorro Islands, are located 250 miles offshore southwest of Cabo San Lucas, Mexico. They form an oasis for pelagic life amongst their volcanic shores. 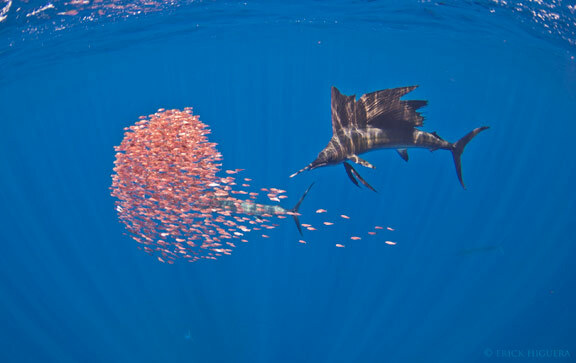 Many hammerhead and silky sharks, giant manta rays, dolphins, sailfish, schools of jacks and tuna come to feed, mate and get cleaned by small pandemic Clarion Angelfish. These animals tend to be quite friendly towards divers at times, allowing for fantastic interactions and blue water photo opportunities. 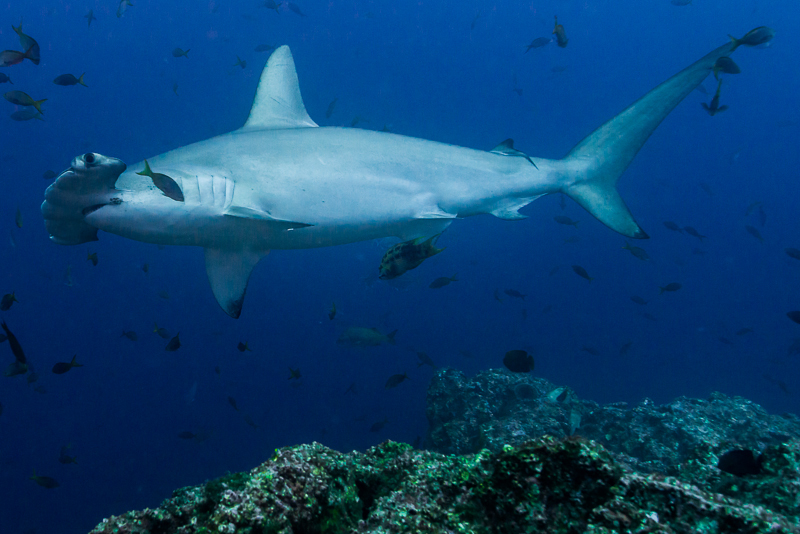 This is also the time of year that huge schools of silky sharks are found at Roca Partida Island. These schools can literally block out the sun with their immense numbers. Our expedition will be on the Solmar V, a luxury liveaboard, which has been sailing these waters for many years, with probably the most experienced and friendly crew around. Best of all, our head guide will be Erick Higuera, a biologist and photographer, who just won the Beneath the Sea “Stan Waterman Award for Underwater Video” for his film “Baja”. He has worked for many years on the Solmar and has extensive experience in the islands. Both Martin Heyn and myself will be on board and we plan on being available to help you get the most from this fantastic photo opportunity. The cost is $3395/$3495 and is all-inclusive; just get yourself to Cabo San Lucas and we do the rest! Our trip flyer is here. Get more details and sign up today at the webstore!